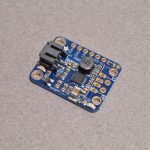 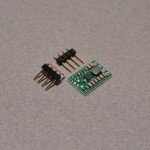 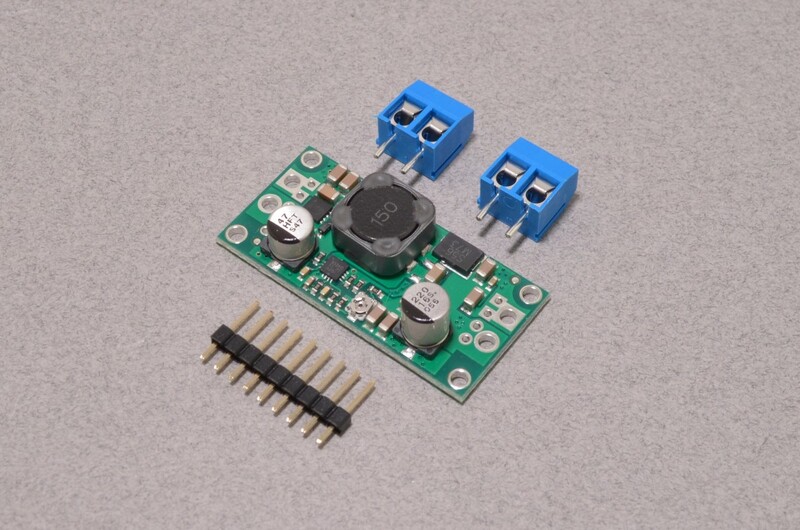 This step-up/step-down regulator takes an input voltage from 3 V to 30 V and increase or decrease it as necessary to produce an adjustable 9-30VDC output. 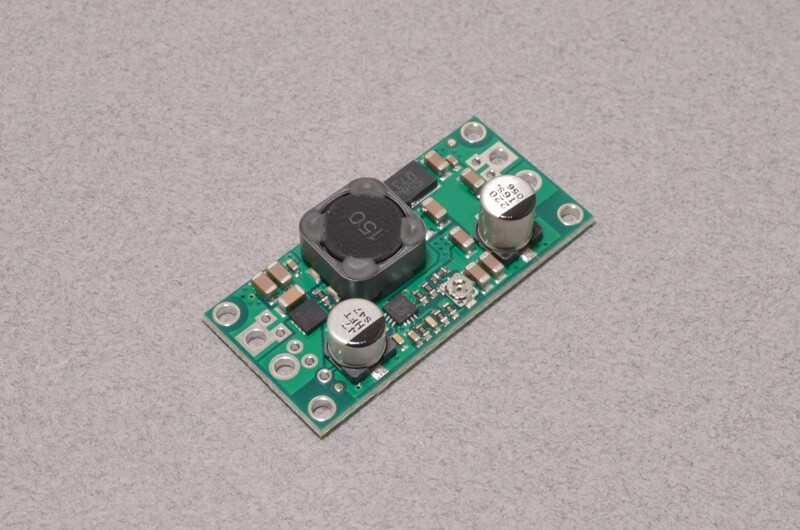 This is a switching regulator (also called a switched-mode power supply (SMPS) or DC-to-DC converter) with a single-ended primary-inductor converter (SEPIC) topology, and a typical efficiency between 80% and 90%. 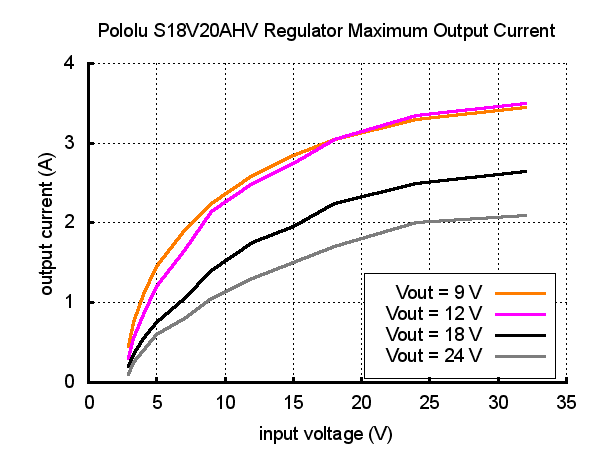 The available output current is a function of the input voltage, output voltage, and efficiency and will be around 2 A when the input voltage is close to the output voltage. 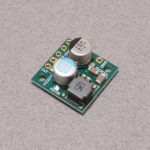 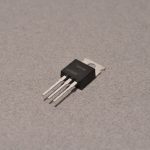 The flexibility in input voltage offered by these regulators is especially well-suited for battery-powered applications in which the battery voltage begins above the desired output voltage and drops below the target as the battery discharges. 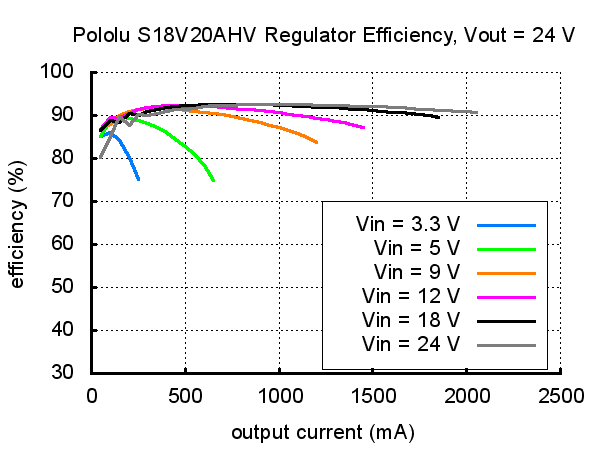 Without the typical restriction on the battery voltage staying above the required voltage throughout its life, new battery packs and form factors can be considered. 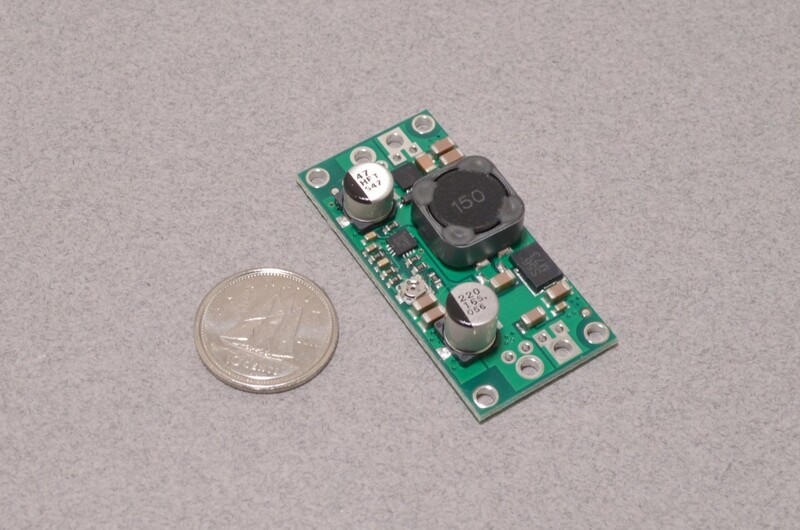 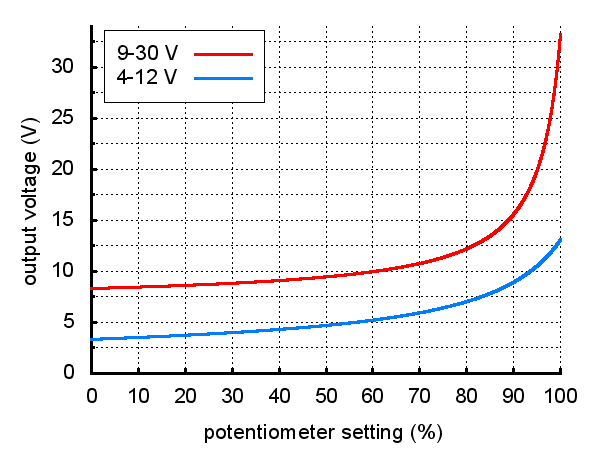 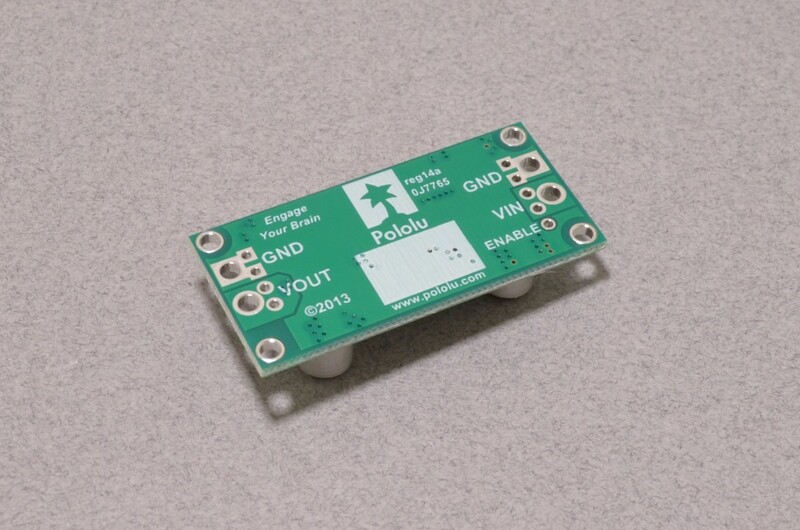 A 4-cell battery holder, which might have a 6 V output with fresh alkalines or a 4.0 V output with partially discharged NiMH cells, can be used with this regulator to power a higher voltage circuit. 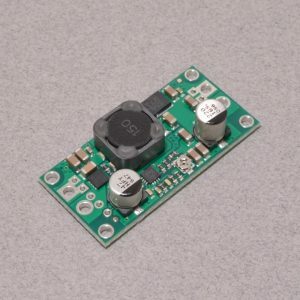 This regulator has built-in reverse-voltage protection, over-current protection, thermal shutdown (which typically activates at 165°C), and an under-voltage lockout that causes the regulator to turn off when the input voltage is below 2.5 V (typical). 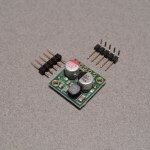 SKU: REG-008. 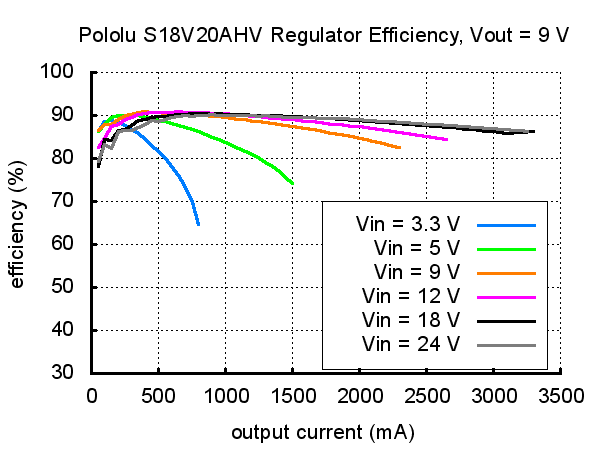 Categories: Regulators, Voltage Regulators. 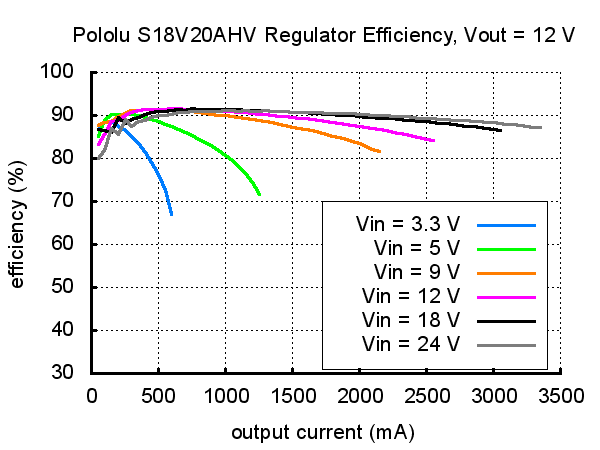 Tags: DC/DC, Light Packet, Pololu.